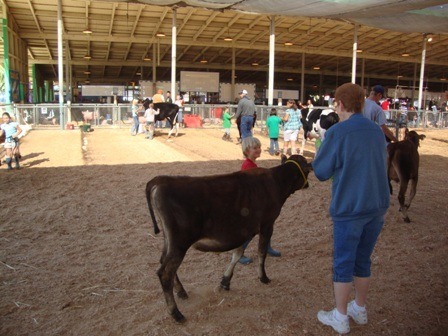 In previous posts, I mentioned that every year our family takes a few cows to the local county fair. The fair, while fun, takes a lot of preparation. It’s essentially a beauty pageant for the cows, and they are judged according to how they look. The kids showing have a direct influence on how the cows look, so if you want to win with your cow, you must work hard to help clean her up. Washing, clipping hair, scrubbing toenails, and fluffing the tail is just some of the work that needs to be done. 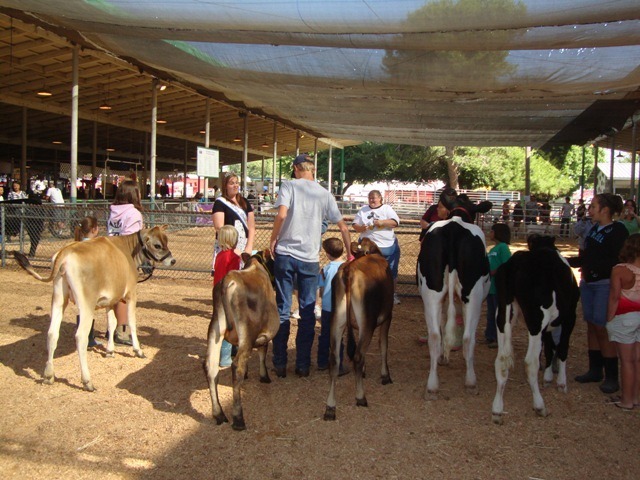 Fair time definitely means a time of excessive luxury for the cows. Wow Wow Wubbzy Wubbzy Wubbzy Wow Wow went to the fair this year. Wubbzy’s growth was stunted when he was just a small calf, so he never grew very big. 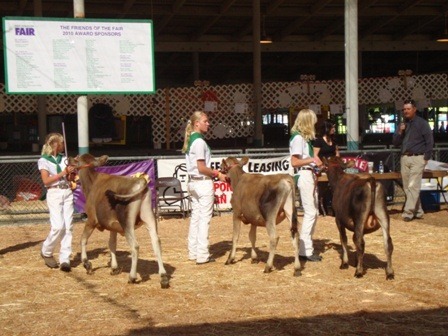 Usually the bigger the calf is the higher chance of winning the show so we urged my sister not to take him. But how could you not want to take Wubbzy! 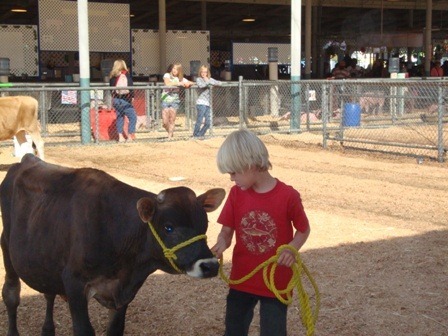 Wubbzy was probably one of the smallest calves at the fair. But even though he was small in stature, Wubbzy was enormous in personality. You couldn’t find a more popular calf with the ladies. Wubbzy had loads of fun at the fair, and my little brother couldn’t help but show Wubbzy around all over the fairgrounds. My little bro took Wubbzy around showing him off. When it came time for the show, Wubbzy was the calmest calf there. Unfortunately Wubbzy didn’t win, he lost like we all expected. But Wubbzy didn’t care. I think he just likes to think he was a winner from the other end! Here are some of the pictures from the fair!